Our exclusive Sterling Silver Collection: Long and delicate necklace in Sterling silver plated with 18 karat gold. 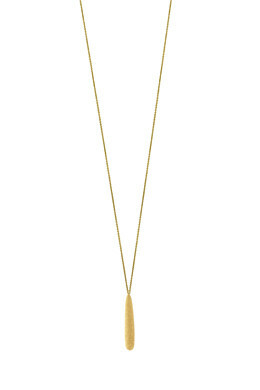 The necklace has a long drop shaped pendant with a radiant diamond sparkle finish. Chain length: 80 cm with lobster closure.